Please write your lunch order on an old envelope with your name, room number and your order on it and the money enclosed. Place the envelope in one of the posting boxes before school starts. There is one box outside Room 14 and one outside Room 3. Your lunch will be delivered to your classroom at lunch time by your monitor. 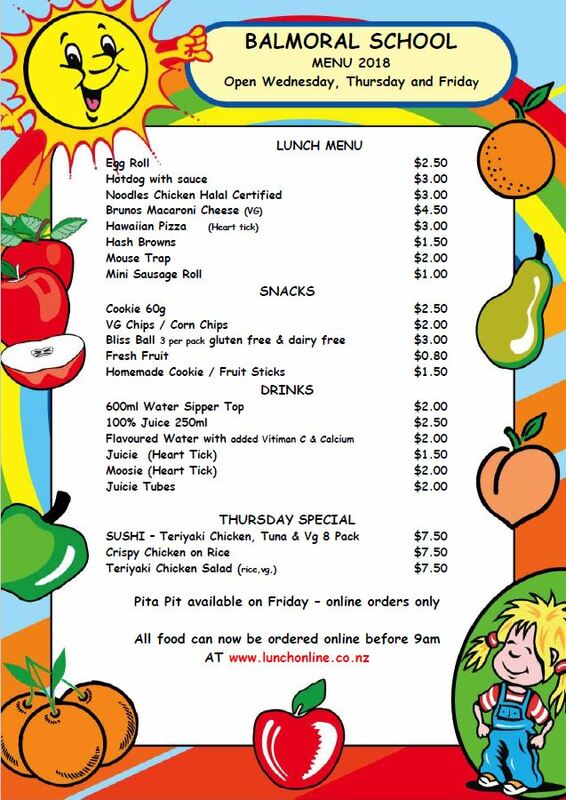 You can now save time and cash and order lunches online as well as ordering at the canteen at school. 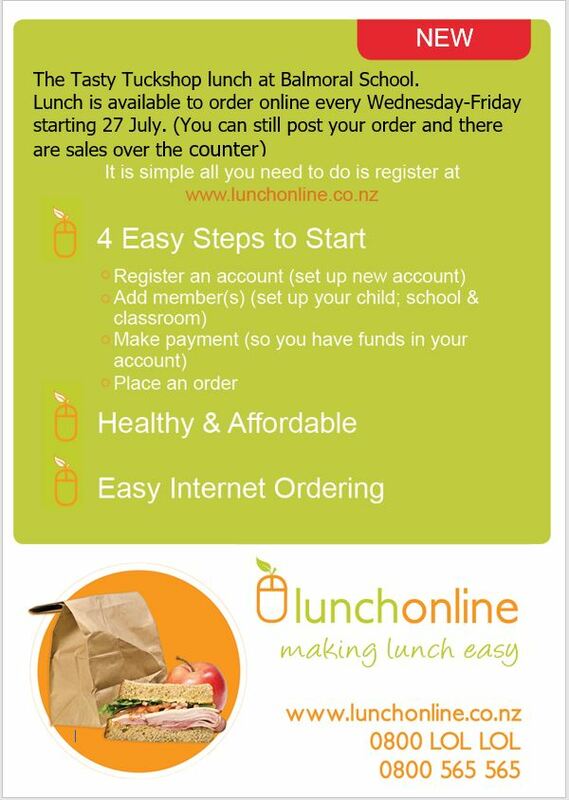 Simply register at www.lunchonline.co.nz and follow the instructions to order online.